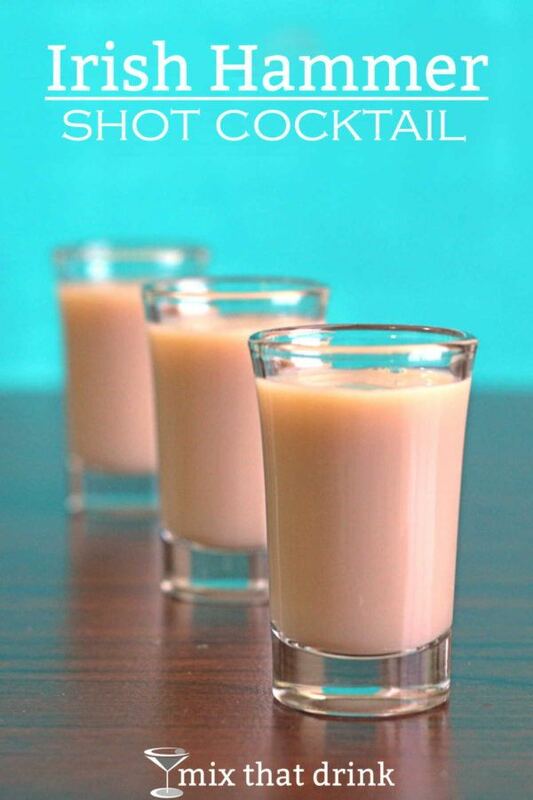 The Irish Hammer shot blends Jack Daniels Tennessee whiskey with Irish Mist and Irish cream. If you’ve never tried Irish Mist before, just know that this little shot has lovely honey and caramel notes to balance the taste of the whiskey. This is not an overly sweet cocktail (nothing like the B-52 or T-52, or even the Tiatip, for example), but the honey and caramel flavor are strong. 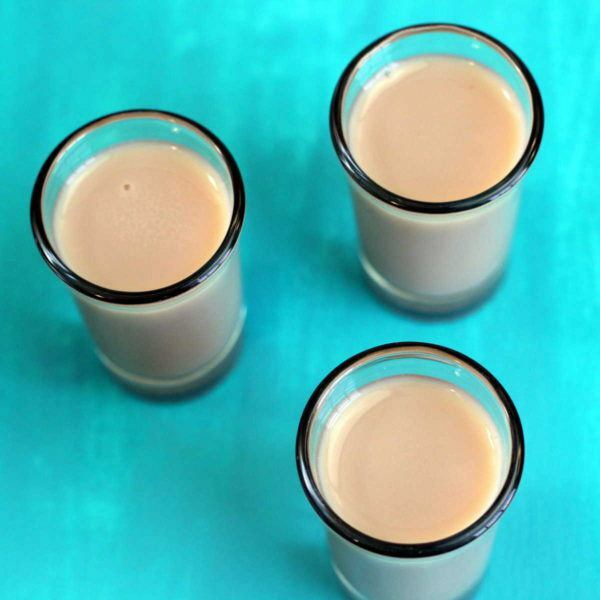 If you use Baileys Irish cream, the honey and very faint floral notes from the Irish Mist will be more noticeable. 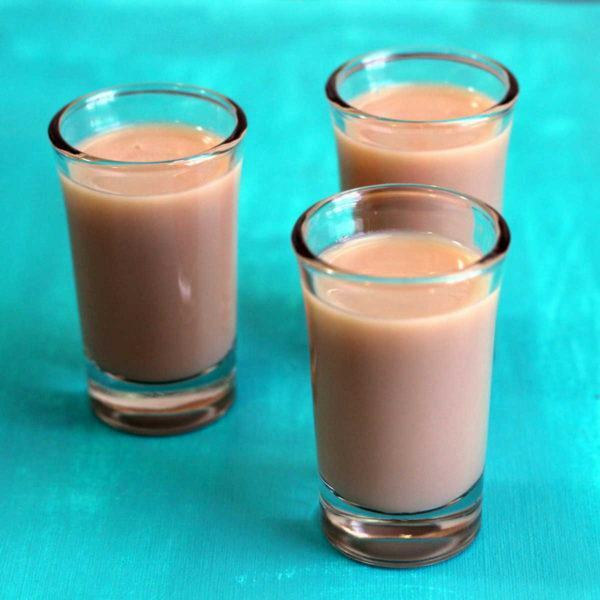 If you use Carolans Irish cream, which has stronger caramel notes than Baileys, then caramel will tend to dominate the drink. This drink is really good to enjoy right after dinner. And since the recipe calls for “parts” instead of specific measurements, you can pour it as whatever size drink you want. It’s sweet enough to be a dessert on its own. But it’s absolutely perfect when paired with a coffee flavored dessert, such as “Coffee Cake – Literally” from Ree Drummond. Instead of the usual “cake that goes with coffee”, it’s a highly caffeinated cake that’s coffee-flavored with sweet icing. And yes, it definitely will help you stay awake, so don’t enjoy it too close to bedtime. You might consider this drink as an option the next time you’re entertaining guests. It’s so easy to prepare and serve. Just mix up a pitcher in advance, and put it in the refrigerator. Then you pour and top of glasses as needed. This drink goes over well with most guests, because it’s not too strong, not too dry, not too sweet. It’s very easy to like.